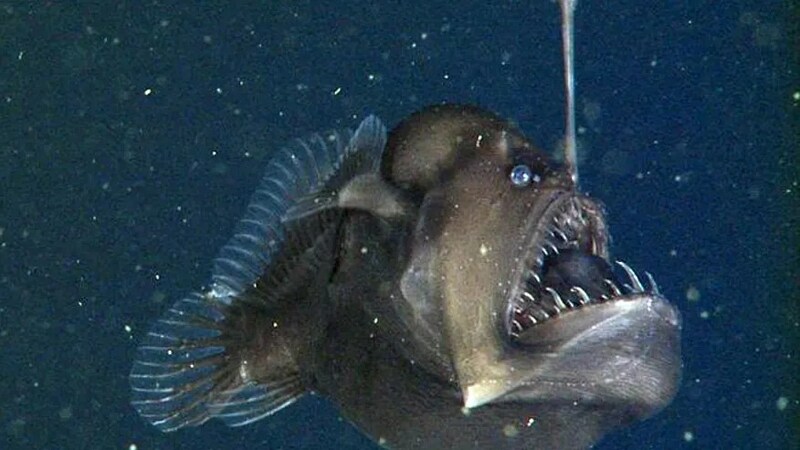 A research team conducting a dive in Monterey Bay off the coast of California have captured first-ever video of a rarely-seen denizen of the deep called the black seadevil. “We’ve been diving out here in the Monterey Canyon regularly for 25 years, and we’ve seen three,” MBARI Senior Scientist Bruce Robinson told the San Jose Mercury News Friday. Robinson said a luminescent “fishing pole” projecting from the anglerfish’s head is a glowing lure to attract prey. Robinson told the paper they captured the fish to study, but don’t know how long it will survive. MyFox Los Angeles posted the institute’s two-minute-long video on its website, while pointing out that although the black seadevil seems menacing as its swims towards the camera, it is only about 3.5 inches long. Little is known about the fish. Male black seadevils have a much shorter life span than females and are much tinier in comparison. Their sole purpose is to attach themself to a female, living as a parasite.